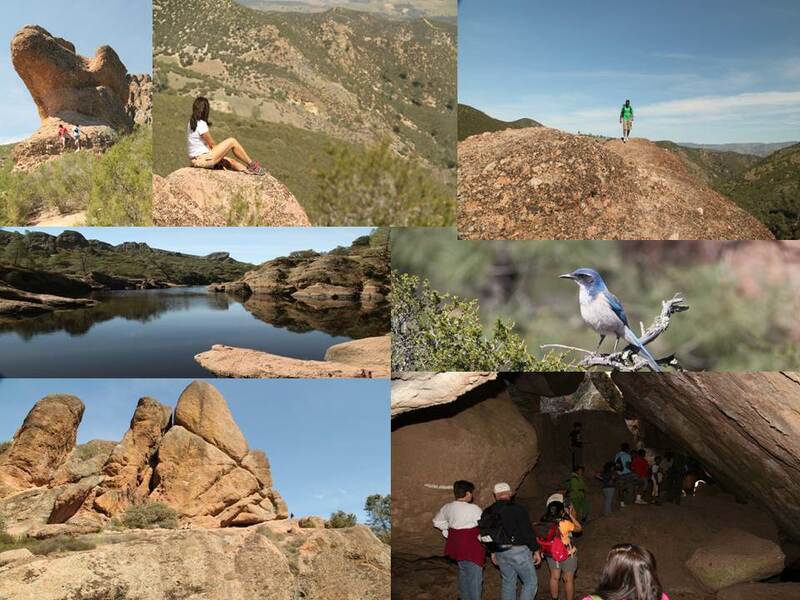 It was created from the former Pinnacles National Monument by legislation passed by Congress in late 2012 and signed into law by President Barack Obama on January 10, 2013. We wanted to take the boys to see the caves and massive boulders. We visited the Bear Gulch Cave with the Ranger Program. You need a flashlight to visit the caves. Some areas of the caves are so narrow you have to be on your knees. The boys loved the adventure of crawling through the caves. After the Bear Gulch Cave tour we did a small hike. The hike was not strenuous but it was in full sun so it made it very tiring for the boys . Let’s just say it was very tiring for all of us due to the hot sun. All hikes in the park are usually in full sun. So you need to carry plenty of water. Which that day we did not have enough water. So we decided to pick the shortest one. This Condor Gulch Trail trail offers spectacular views of the High Peaks. check out the webiste for more details. Here are pictures from our visit.